Published on 1 April, 2011 in FOSS. 3 Comments Tags: elementary, Linux, os, release, ubuntu. 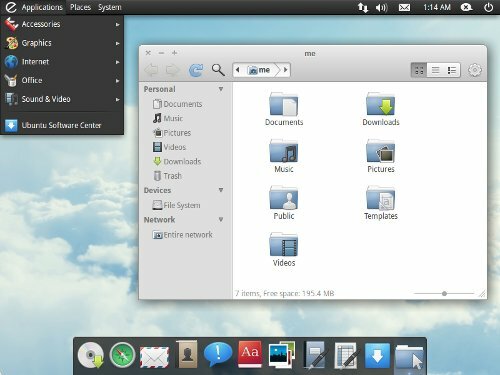 Daniel Foré and the Elementary team have finally released the long awaited Elementary OS, codenamed Jupiter. Kudos! With Jupiter, we’ve made using your computer extremely easy by including a selection of the best apps designed and programmed by professional artists and developers. We’ve also simplified the whole experience to make things easy and beautiful. It’s an Ubuntu based distro with Elementary’s cool new apps like Postler, their lightweight mail client. Naturally, it also comes with Elementary’s take on Nautilus and uses the Elementary theme and icon set (just like Kororaa!). It’s light, and it’s fast. Check it out, it’s definitely worthwhile! Published on 27 November, 2009 in FOSS. 0 Comments Tags: chrome, google, Linux, netbook, os. The source code for Chrome (Chromium) OS is out and it hasn’t taken long for support to extend to various devices. Me and some other Dell folks noticed that Engadget recently got the Chrome OS running on a Vostro A860 netbook. I’ve been doing some timkering over the lat few days working to get our Dell Mini 10v up and running with ChromiumOS. As of late yesterday, I can report success. It shouldn’t be long before various images start popping up all over the place. Published on 20 November, 2009 in FOSS. 0 Comments Tags: chrome, chromium, google, Linux, os. Looks like Google has released instructions on how to build Chrome OS from source (therefore Chromium OS). I haven’t tried this yet, but as far as I know there aren’t any pre-built images out there, yet.. The Just another Linux geek archives for the os tag.